decreases and function suffers. When you lose teeth, you lose some ability to chew food properly. If you do not chew well enough and what is swallowed is not quite ready to be digested. This can lead to digestive difficulty and possible to inflammatory bowel disease. Other problems also occur. The remaining teeth will eventually shift downwards, upwards, and sideways. This can make these teeth prone to decay, gum disease, misalignment, and temporomandibular joint problem. With collapsed bite and loss of vertical dimension, the distance from your chin to the tip of you nose decreases, making your face shorter. 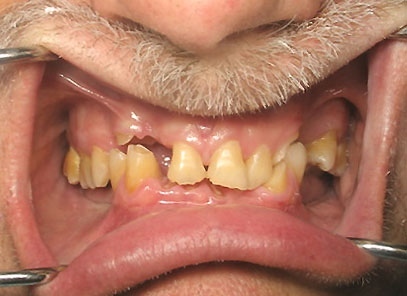 The facial muscles of the cheeks and mouth sink into the edentulous (missing teeth) area. There can be severe cosmetic problems as of result there is loss of self-image and self-esteem. You can choose to do implants supported fixed bridges, conventional bridge (crowns), implants supported removable dentures and/or removable partial denture. 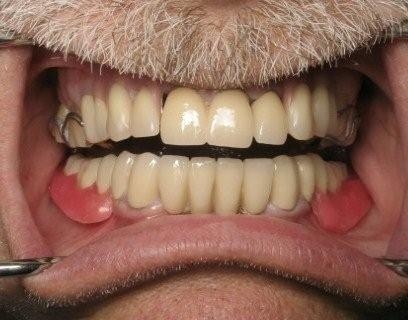 The advantage of the fixed replacements are that they are not designed to come out of your mouth at any time, they are more acceptable to live with, feel more like the original teeth, and are perhaps more cosmetic than removable dentures.